We are here to prevent and protect against disruptions or threats to the national interest, the democratic legal order and the integrity of Sint Maarten and the Kingdom of the Netherlands. Welcome to the website of National Security Service Sint Maarten or Veiligheidsdienst Sint Maarten (VDSM). 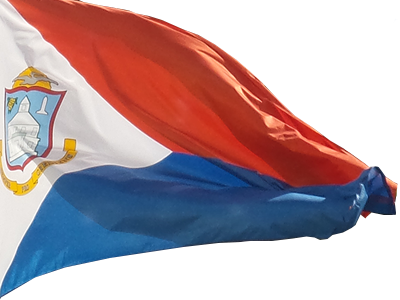 The National Security Service Sint Maarten (VDSM) was established in response to historic constitutional changes on October 10, 2010, that ended the existence of the Netherlands Antilles and allowed Sint Maarten to achieve country status within the Kingdom of the Netherlands. This website is designed to address various questions about VDSM as well as provide an improved interface where documents are accessible. Both employers and employees are encouraged to make use of the various links provided on this website. To learn more about VDSM visit our Who We Are page. Representative of the Royal Marechaussees in the Netherlands Willem Mudde delivered a presentation on the functioning of the soon-to-be-established Advanced Passenger Analysis System to representatives of the Police Force, national intelligence agency VDSM, Port St. Maarten and the Royal Marechaussees in St Maarten on November 16. The National Security Service of Sint Maarten and the Caribbean Community’s Caricom’s Implementation Agency for Crime and Security (IMPACS), on November 26, 2015, signed a Memorandum of Understanding for the use of Advanced Passenger Information System (APIS).